LONG BEACH, Calif. (April 11, 2016) – Fredric Aasbo overcame unpredictable conditions at a rainy Formula Drift opener this weekend to drive the Rockstar Energy Drink / Nexen Tire SR by Toyota tC to its first podium result of the 2016 season. Despite rainy weather, Aasbo looked strong from the start of practice as he called his winter-weather expertise into play on a wet and oily course that drivers said was as slippery as ice. Conditions were so treacherous that organizers opted to cancel qualifying and assign a seeded start for Saturday’s competition. That put defending champion Aasbo in the No. 1 qualifying spot and facing a series rookie in the 32nd position during Saturday’s opening round. Competition was tough, with stop-start rain making for unpredictable grip levels throughout the day. Contact from rival drivers was a factor in each of Aasbo’s first three battles and by the Final Four round, the Rockstar Energy Drink / Nexen Tire SR by Toyota tC was starting to show battle scars. In Final Four competition, Aasbo faced Odi Bakchis in an exciting match that judges deemed too close to call, prompting a “one more time” battle. Aasbo looked strong on the re-run to advance to the last step on the ladder, where he faced Chelsea DeNofa. Aasbo put together a pair of strong runs, but DeNofa took the round. Aasbo finished second overall, beside SR by Toyota and Nexen Tire teammate Ken Gushi, who finished third. The automaker and tire maker are now leading their respective points chases after the first round in the eight-stop championship. The team will return to the street course next weekend for the Motegi Racing Super Drift Challenge invitational Friday and Saturday nights during the Long Beach Grand Prix weekend. The second round of the 2016 Formula Drift Championship takes place May 6 and 7 at Road Atlanta in Braselton, Georgia. Drifting is a high-skill, high-powered motorsport with an emphasis on car control skill. Drivers compete in knockout heats on a closed course, sliding sideways in trials judged on speed and style. With origins in Japan, it is one of the fastest growing forms of motorsport in the world. In 2016, the series again offers live and on-demand online coverage on the Formula Drift Livestream, its widely viewed online broadcast. Formula Drift also returns this season to CBS Sports Network for 20 half-hour television programs. The fast-paced action featuring bracketed head-to-head match-ups will anchor the coverage. Defending champion Fredric Aasbo returns to Papadakis Racing in 2016 for his sixth season with the team. The Rockstar Energy Drink driver is a fan favorite and championship contender. He has achieved more than 100 podium results and wins on three continents over the past decade of competition and is defending the Formula Drift World Champion and Formula Drift Pro Champion this year. A two-time Nordic Drifting champion (2007, 2008), Aasbo made his U.S. debut at a global drifting invitational in 2008 and turned heads when he won the 2010 Formula Drift Rookie of the Year title. He is now a global contender and in 2016, he is running the full Formula Drift schedule as well as select events worldwide in Europe and in Asia. 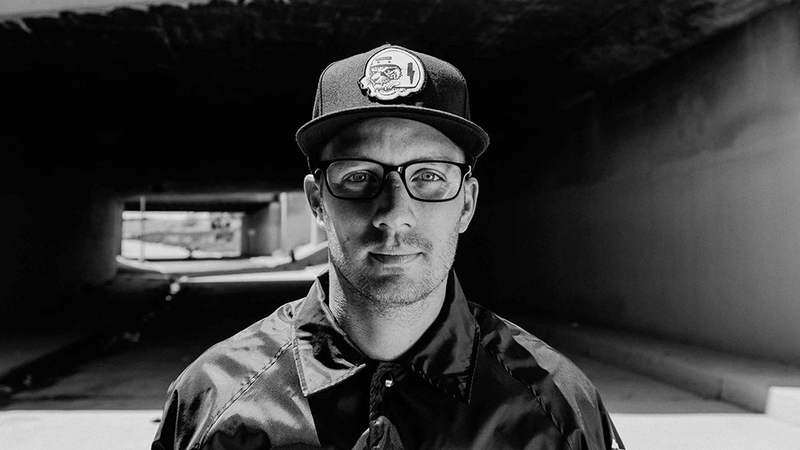 Originally from Ski, Norway, Aasbo now splits his time between his native country and Southern California. Papadakis Racing is the most winning drift team in history, with an unmatched record of three Formula Drift Championship titles. 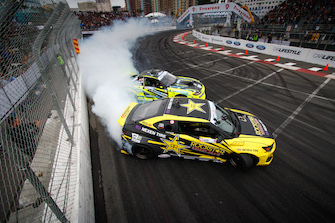 Team driver Fredric Aasbo won the 2015 Formula Drift title, while Papadakis Racing scored back-to-back championships with driver Tanner Foust in 2007 and 2008. Known as a professional organization that develops innovative and reliable competition vehicles that win championships, the Rockstar Energy Drink / Nexen Tire SR by Toyota tC is the team’s latest competition build. Team owner Stephan Papadakis is a legend of sport-compact racing who began building his reputation in the 1990s with the first front-wheel-drive, tube-chassis drag car in the U.S. Before its successes in drifting, the team earned multiple records and championships in the drag racing, turning in elapsed times and trap speeds previously thought unattainable in front-drive drag cars. Papadakis’ successes in front-wheel drive were matched by his efforts in rear-wheel drive when he campaigned a Civic that became only the fifth car to join the NHRA’s Sport Compact 200 MPH club. It’s that time of the year again! The 2016 Formula DRIFT season is right around the corner and we want to kick-off the season with a special event for all Scion owners. 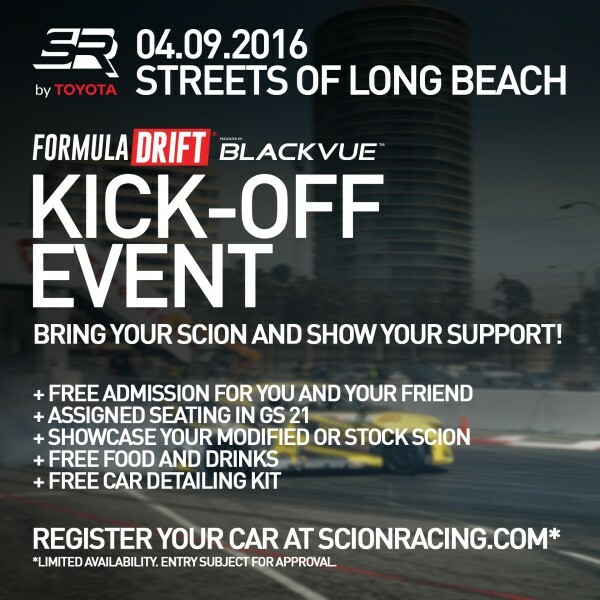 To show our appreciation, we would like to provide you an opportunity to display your (stock or modified) Scion vehicle and cheer for our drivers at Formula DRIFT Long Beach on Saturday, April 9th. Come join us for an epic day of drifting as we cheer on defending champion Fredric Aasbo, Ken Gushi and Ryan Tuerck, our newest addition to the team! We will be accepting submissions until Monday March 28 at 2PM PT. Selected participants will be notified via email with details of the event that week. Limited availability. Entry subject for approval. Looking back, 2015 was a wild ride for us here at SR by Toyota. We captured the top two spots in the Formula DRIFT championship and did a little racing at a place called Pikes Peak. Relive some of our favorite moments in motorsports in this beautifully done video with Fredric Aasbo behind the wheel of the Papadakis Racing tC, Ken Gushi in the GReddy Racing FR-S and witness the Mackin Industries FR-S attack the Pikes Peak International Hill Climb in stunning Colorado, and don’t forget to share it with a friend or a few. Formula DRIFT would like to thank all the great people behind the Scion brand for their support of Formula DRIFT and sport of Drifting. We are looking forward to the upcoming season to see if Scion can close it out with another driver & manufacturer championship. Since entering Formula DRIFT in 2008, Scion has racked up 28 podiums, 10 competition wins, 1 driver championship (Aasbo, 2015) and 2 manufacturer championships (2014 & 2015).